Om Wire & Wire Products Industries is offering comprehensive range of industrial products like Chain Link Fence, PVC Coated Chain Link Fence, Galvanized Chain Link Fence, Wire Mesh Fence, Welded Wire Fence, etc. Our products are developed using superb quality raw materials. Apart from this, our experienced team has used cutting edge technology in compliance with advanced machinery to manufacture our products. This ensures durability, reliability & long life. We are committed to maintain international quality standards in our products. For this, our quality maintenance cell tests our products at every stage of development. We are offering our comprehensive range in standard as well as in customized specifications. These find tremendous usage in various industrial applications. Being a noteworthy manufacturers, suppliers & exporters of chain link fence, wire mesh fence & welded mesh fence from India, we are offering our fencing products at affordable prices. Om Wire and Wire Products Industries is a renowned chain link fence manufacturers, suppliers and exporters based in India. These are widely used in various applications like fencing the park, garden, ground, college premises, etc. These are available in standard as well as in customized configuration. Read More..
Om Wire and Wire Products Industries is a prominent name in the market for its exceptional quality products. 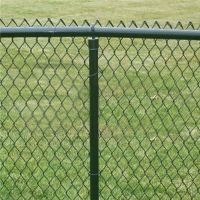 It is a noted PVC Coated Chain Link Fence manufacturers, suppliers & exporters based in India. The organization is engaged for years in offering industry friendly products. We are offering our products in standard as well as in customized configurations in order to meet the end requirements of the industry. 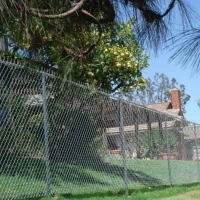 Read More..
Om Wire and Wire Products Industries has made a mark in the international as well as in the domestic market as a reputed galvanized chain link fence manufacturer, supplier & exporter from India. The company is offering these in standard as well as in customized configurations so as to meet the exact requirements of the industry. 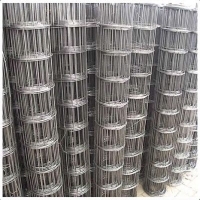 Read More..
Om Wire and Wire Products Industries is gaining laudable recognition in the market as a leading chain link fencing manufacturer, supplier & exporter based in India. These find tremendous usage in the securing parks, gardens, machines, schools & various other industrial applications. We are offering these in standard as well as in customized configurations. Read More..
Om Wire and Wire Products Industries is appreciated world wide for its high ranked products. 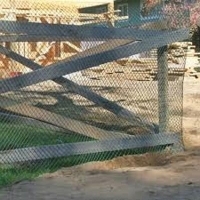 The company is a leading manufacturer, supplier & exporter of wire mesh fence. We are offering our product in customized specifications in order to meet the end requirements of the buyers. These find tremendous usage in various industrial applications. 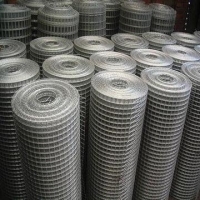 Read More..
Om Wire and Wire Products Industries is a trusted galvanized wire mesh manufacturer, supplier & exporter from India. We are offering our products in standard as well as in customized specifications in order to meet the exact requirements of the industries. 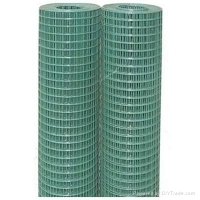 Read More..
Om Wire and Wire Products Industries is a noteworthy PVC coated wire mesh manufacturer, supplier & exporter from India. It is offering its products in a comprehensive range of designs & specifications. Read More..
Om Wire and Wire Products Industries has gained huge appreciation in the market for its premium quality products. 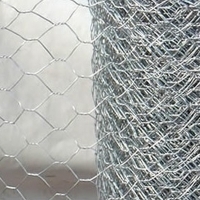 We are considered as leading welded wire fence manufacturer, supplier & exporter from India. These are offered in standard as well as in customized specifications. Read More..